David Orlando, D.C., of Innovative Health and Wellness in Woodstock, Ga., has more than 20 years of experience in chiropractic. Tell us about your practice. What sets you apart from other practitioners in your area? Our practice is different in other practices in that we integrate the best worlds of medicine and chiropractic under one roof. We’d like to talk about a patient success story you’re especially proud of. Tell us about the patient. How did they learn about your practice? At the initial visit he was unable to lay face up without excruciating pain especially under his left arm and cervical spine. We treated him on a regular schedule of chiropractic adjustments, disc decompressive therapy and appropriate physiotherapy. What advice would you give Chiro students today? For instance looking back at your own career is there anything you would do differently? I would tell all chiro students to learn about running a business, learn all you can while in school and go to work for a successful chiropractor to learn the real ins and outs of running a business. What is the funniest thing, if any, that has happened to you in practice? One of the funniest thing that ever happened to me was I was adjusting a patient and I fell on top of them accidentally. Anything (that you care to admit) that you would never do again? I would never get into ANY type of multilevel marketing company ever again – I did early on and NEVER again. Stick to what you love to do. 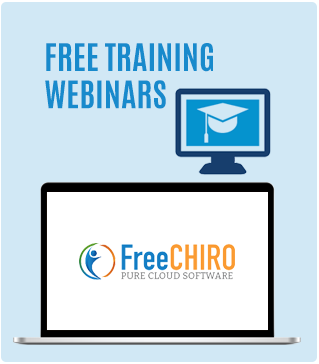 Looking for state-of-the art billing or EHR software for your chiropractic practice? Click here to try FreeChiro for free.